Hello there, Internet researcher. We're glad you took the initiative to search the web to find out more about digital signage programs. Give yourself a high five! And we are even happier that you've come to take a closer look at how UPshow compares to the competition. For more information, keep reading below. For the tl;dr verison: UPshow is awesome. Ready to discover the best social media digital signage solution? Let's go, folks! The UPshow platform showcases your business’s user-generated social media content. While this encourages social media-driven growth for your business, we’ve added a handful of brand new features that take your UPshow screen to a whole new personalized and custom level- creating a branded Social TV for your business. UPshowNow curates only the best content from the best accounts on social media to keep customers up to date on all topics they care about on social media- sports, music, beer, you name it! 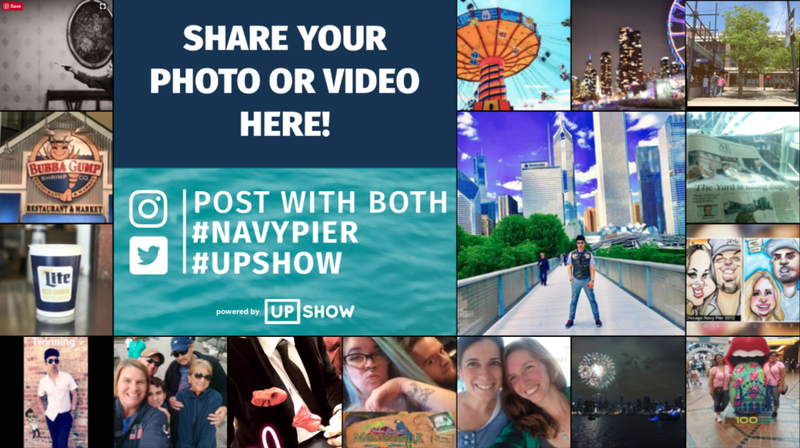 Check out a demo of how UPshowNow keeps guests more engaged and drives more impressions to your promotional material on the screen. Video content is leading the marketing storm and for media signage software it's no different. Our recent partnership with PlutoTV allows your business to entertain guests with custom TV channels you get to pick from (oh, and did we mention this eliminates your competitor's commercials from appearing on your venue's TV screen?). Trivia on your UPshow screen adds the gamification element proven to keep guests in venue longer. Our trivia games include top categories like sports, TV, music and more as well as the option to create your own trivia questions. Better start prepping that second order of buffalo wings, because booth 45 just got into an epic trivia battle and will probably be here for awhile! Once upon a time when we first began the UPshow journey, we launched our app on Amazon’s FireTV devices. And as we have evolved our platform we have expanded to the Google Chromebit. The transition to the Chromebit has allowed us to offer a new pricing structure with feature-oriented monthly costs. We fully support both of these devices for our partners. Whether your business is a bar, restaurant, tourist attraction or office the UPshow screen is a low cost digital signage software flexible enough to work in any industry! This is all due to our screen customization options that create a social TV experience that’s just right for your business. While your patients wait for a teeth cleaning, they could enjoy this. You could make your guests whole trip by giving them the opportunity to be seen here. Your business could even keep patrons in venue longer with a TV screen like this. We help your business cultivate the best hashtag that guests want to use to get showcased the UPshow screen. We take a look at what current customers are using, what's popular in your location and what stands out amongst competitors. Your business even has the option to utilize the UPshow hashtag, which helps create acknowledgment of displaying guest content on the TV screen. While guests are enjoying the front-facing TV screens, your business can track UPshow's ROI with a full online and mobile-friendly Control Panel. The Control Panel tracks your usage and progress of all features as well as guest social media traction analytics. By simply logging in or downloading the UPshow Manager app, you're able to view the growing success as well as make adjusts to the screen to help increase potential. With tools such as our Spotlight feature, your business can upload material you want your patrons to see. This can be as simple as uploading what your business promotes on Facebook to creating informative and promotional material fit for the TV screen. Some partners even utilize the tool to host paid promotion from nearby businesses and venues. Anyway you upload it, your consumer has eyeballs on the content you choose, making your UPshow screen a valuable info screen software platform. UPshow is far from just a signage software company. We are a collective team of problem-solvers, marketeers and innovators ready to assist our partners through many different portals. In addition to your own personal account manager, our team is available via our call-in support line, your Control Panel Live Chat and website live chat. Whether you need technical assistance, screen updates, new features or a refresh on your game plan these portals are open to help. As stated so eloquently by The Black-Eyed Peas, where is the love? UPshow's platform gives your business a space to interact with well-deserving guests. With our Connected Commerce feature, you can send personalized automated messages to guests who have posted to the TV screen. You even have the option to give a little more lovin' by offering a promotion or discount as a way to say thanks and get them coming back for more. 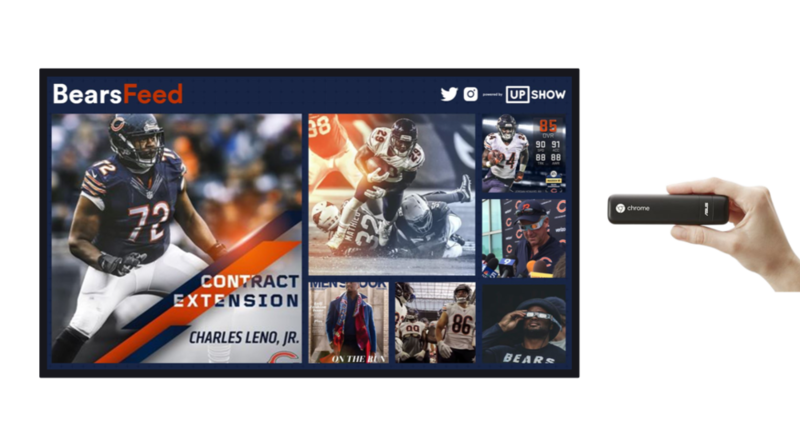 With UPshow, you’ll play an active part in designing the look of your TV screen display. You’ll have endless possibilities of custom colors, logo, font and copy available to you to make sure your screen is 100 percent branded! If you’ve been considering UPshow, you’re not alone! 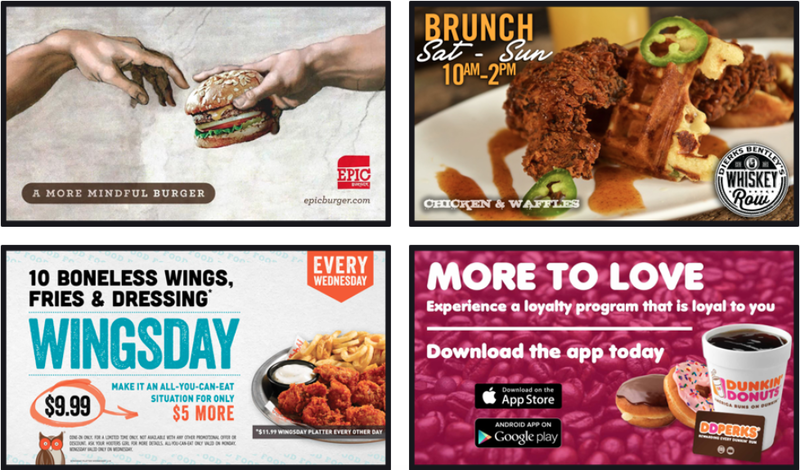 We have over 7,000 screens worldwide, including major partnerships with companies like Hooters, TGI Friday’s, GGP and Dunkin Donuts. Now that you've seen how UPshow brings more personalization to your business's TV screens than ever before in digital signage software, contact us here to get your own custom demo for free.